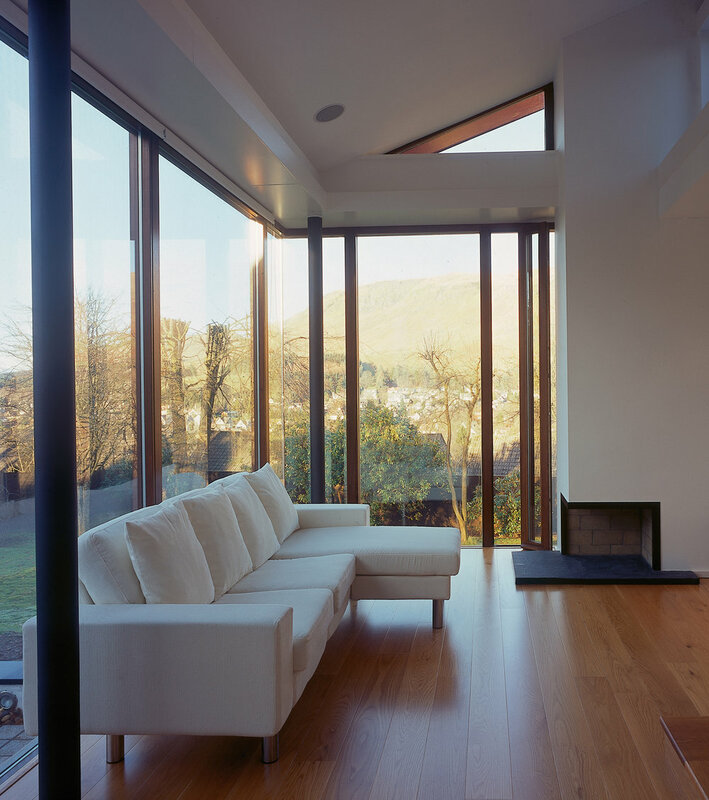 The project sought to reconfigure the back of the house in such a way as to recapture a relationship with the garden and exploit the majestic backdrop of the Campsie Fells beyond. The remodelling was as much about its landscaped exterior as it was about the internal rooms. Any architectural event - window, loggia, chimney or wall - plays a role in the formation and sequence of outdoor space as well as indoor.